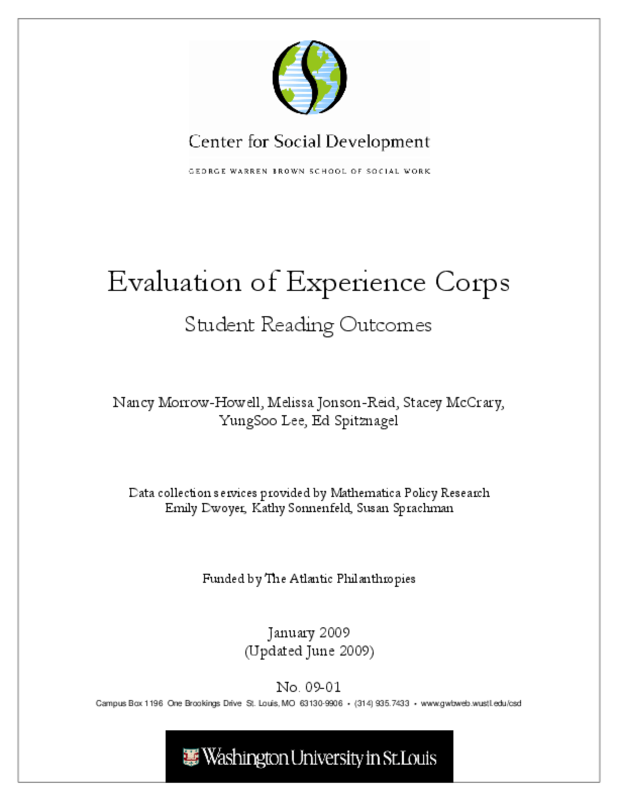 Analyzes the impact of Experience Corps tutoring on elementary school students' reading comprehension as measured by four tests. Considers factors such as gender, race/ethnicity, grade, classroom behavior, English proficiency, and special education needs. Copyright 2009 Center for Social Development at Washington University in St. Louis.